Estampa Script: A Typeface Perfect for Clothing, Interior Design, Branding, Packaging, Advertising and Publishing Design. 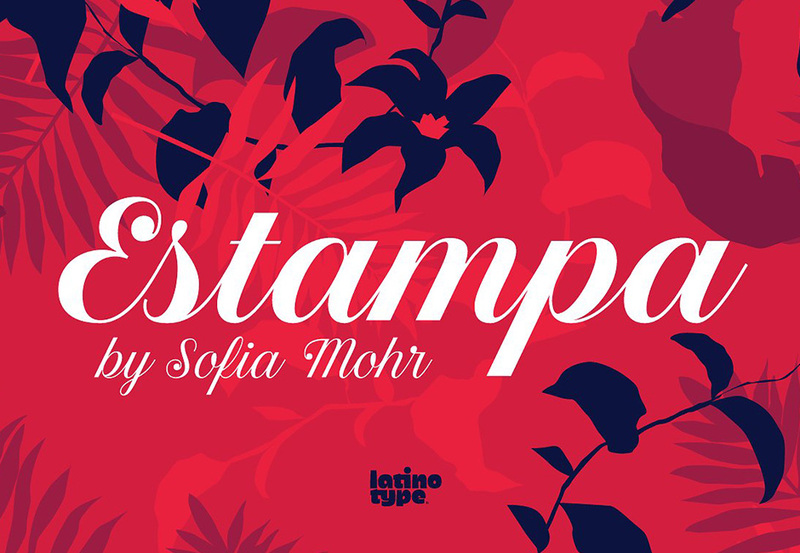 Estampa Script is a 5-weight script typeface, designed by Sofia Mohr. The script has high contrast between thick and thin strokes, and teardrop terminals that reminiscent of Didone typefaces. These elements are at the heart of the font, giving it an unmistakable character. File size is approx 138KB (204KB unzipped), offered as a single download.